"The security realities on the ground in Libya are growing increasingly complex and unpredictable," said AFRICOM commander Marine Corps Gen. Thomas Waldhauser. "Even with an adjustment of the force, we will continue to remain agile in support of existing U.S. strategy." 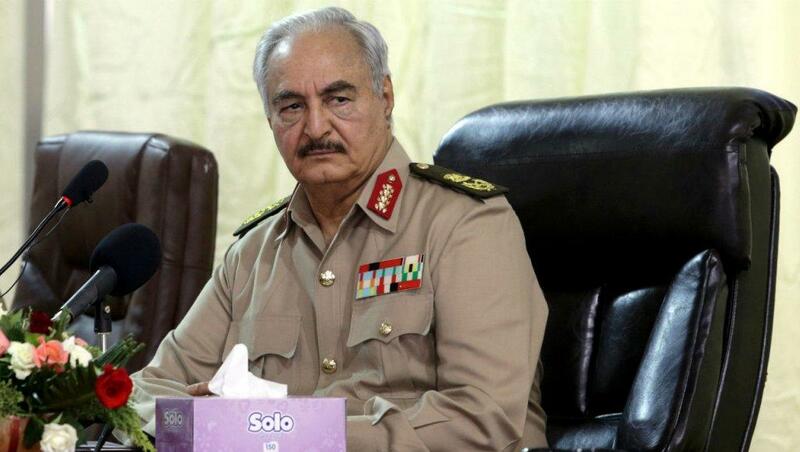 Haftar - who solidified control of Eastern Syria and swept through the south in January, seeks to capture Tripoli and seize military control of the entire country, after his self-proclaimed Libyan National Army (LNA) claimed to have secured Tripoli's international airport. 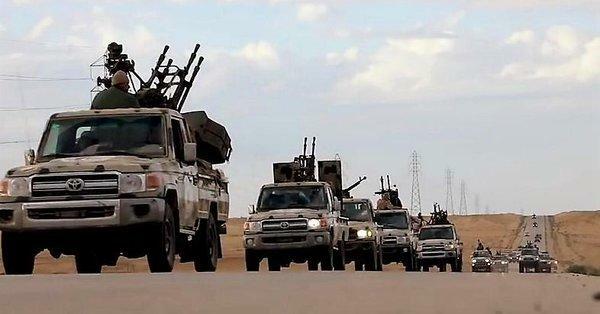 As we noted earlier Sunday, some international reports confirmed that the LNA gained full control of the airport later in the day Saturday, but other conflicting reports say that this was premature, which could mean only a section was wrested from Tripoli forces. Video purporting to be from the inside the Tripoli airport was posted on social media Saturday. The LNA's move on the capital comes before next week's UN-sponsored talks designed to map out a path to fresh elections, according to The Guardian. The UN, meanwhile, appealed for a two-hour truce so that casualties and civilians could be evacuated, according to the BBC. The plea went unmet as fighting continued. Excellent report by @NatashaFatah on the fighting in #Libya. According to Bloomberg, UN Secretary General Antonio Guterres said on March 31 that the two sides have discussed a "united caretaker government," however it's clear that those mediation efforts are faltering. 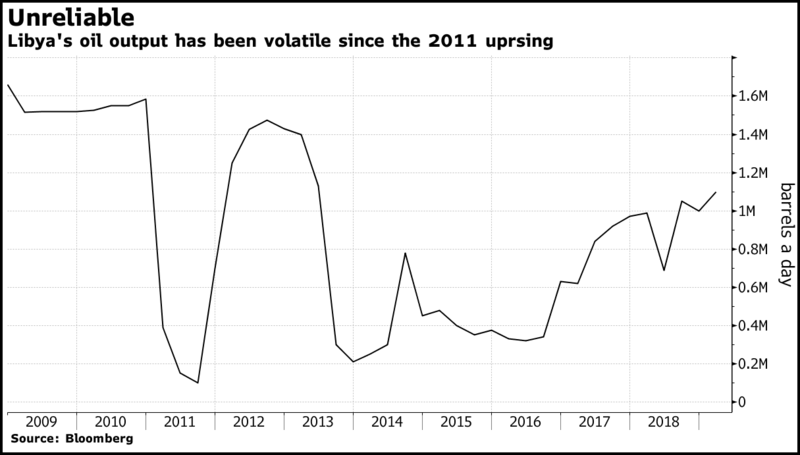 As for how the current situation will impact oil prices, Bloomberg notes that the impact won't be immediate - as "Major oilfields and export terminals are far from the clashes," however "history shows that fighting anywhere in Libya can cause dramatic swings in output." Bloomberg further notes that any disruption at Zawiya port - the Sahara's main export terminal, would cause a partial or a complete shutdown of the oil field which currently produces around 300,000 barrels a day. 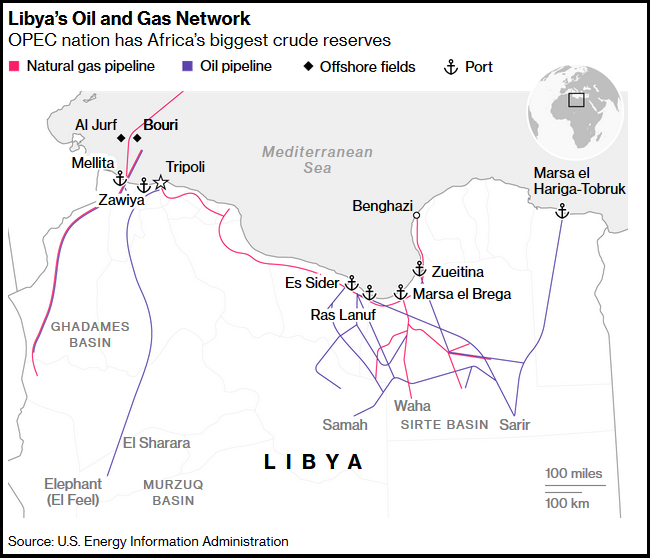 It is expected to load 6 million barrels of crude in April, which could be completely under Haftar's control if he takes the terminal. Hafter now controls over one million barrels of oil production a day, as well as Libya's strongest military force which is backed by Russia. We're guessing the latest Libyan internal conflict will create a new wave of migrants that will promptly head for Europe.